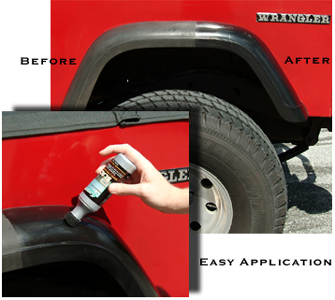 The Forever Black Bumper and Trim Kit is a multipurpose and practical dark surface rejuvenator. 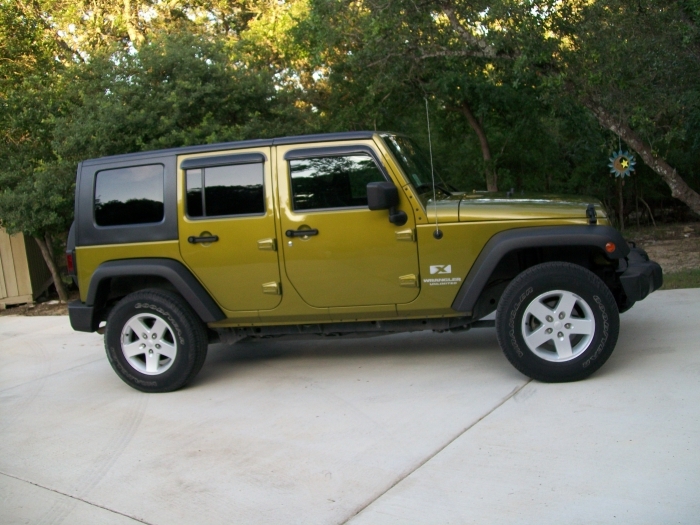 Bring back the richness of black trim and molding permanently with this specialized dye from Forever Black, a name trusted by auto detailers worldwide. Permanent Results. Forever Black permanently dyes black plastic, rubber, and vinyl. Wax build up can be stubborn to remove, and damage caused by UV rays yield bleaching and spotting. Use Forever Black dye to cover these problem areas. There is no oily residue and drying time is 5-20 minutes. Buffing is not necessary. Versatile. Forever Black Dye Refill can be used on bumpers, spoilers, mud guards, door handles, and body and trim moldings. Black details will look rich and deep after applying this product. Protects Against UV Rays. UV exposure can cause damage and long term problems if it is not reversed and corrected. Forever Black Dye Refill protects trim from harmful UV rays, and permanently reverses and prevents fading. The Forever Black Dye Refill saves money when it is necessary to replenish your dye. This bottle will cover 3-4 vehicles, renewing any area with a dark richness that makes any car appear brand new. Bring beauty back into black with the Forever Black Dye Refill. Comes in a 6oz bottle with applicator. Detailing Brush KitMcKee's 37 Wax Remover for PlasticMcKee's 37 Cleanse-All Exterior CleanerPinnacle Vinyl & Rubber Protectant303 Aerospace Protectant 16 oz.Microfiber Applicator PadsForever Black Bumper & Trim Dye Kit New & Improved!Black AgainMcKee's 37 Plex-All™ Cleaner & Polish for All Clear PlasticsBlack WOW Exterior Trim Restorer8 inch Montana Original Boars Hair Wheel BrushBlack WOW Prepare to be WOWed Kit - 4 oz.Wolfgang Exterior Trim Sealant 8 oz.Wolfgang Exterior Trim Sealant 16 oz. GTechniq C4 Permanent Trim Restorer 15 ml. This product is amazing. Used it on a 2001 explorer Sport Trac 4X4. Bumpers and side panels. Red truck and GRAY accents what was Ford thinking. I used the entire bottle just kept coating until used up. 2 coats would have been enough.Don't know how it works on smooth surfaces but for my application , it looks like a factory job.Your mileage may vary. ConsTape off area, don't get it on the paint, is permanent. 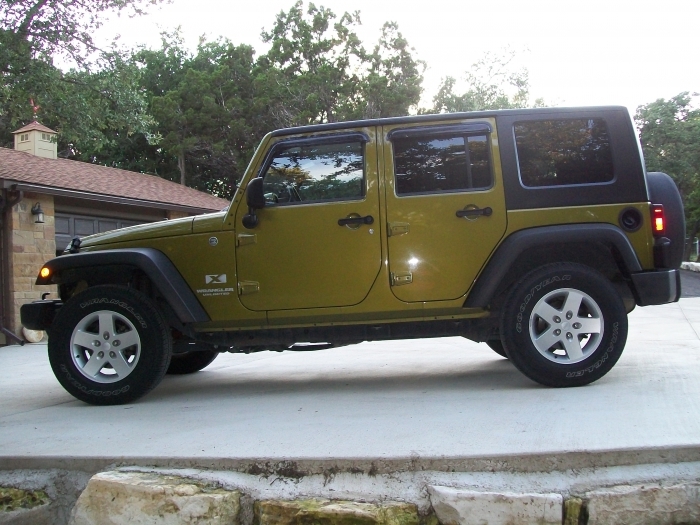 Six years ago I bought my first bottle of Forever Black to apply on my Jeep Wrangler's fenders and bumpers. I didn't consider any using any other product to detail my Jeep again. This stuff LASTS and it's so EASY to apply! Great price with fast delivery from AUTOGEEK. I am a 74 year old woman and if I can do it - YOU can too!! a Clear coat product & now bumpers look great,solid black.